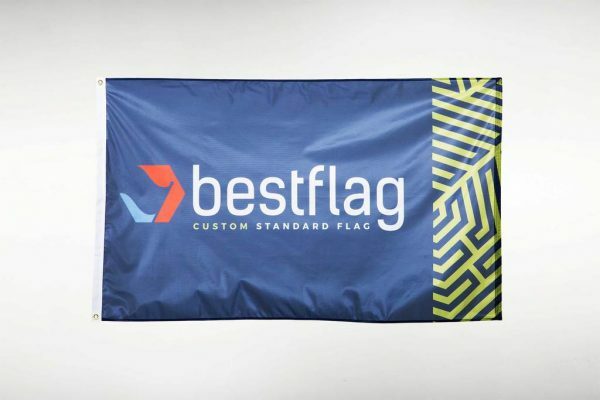 BestFlag strives to produce the highest quality custom flags on the market. Using the latest printing technology, BestFlag digitally prints directly on the fabric using large format ink-jet printers. Any design is possible. Materials – We have two material options available. 200 Denier Nylon – UV Coated with Dupont SolarMax coating. This is the standard flag material in the United States. Most US Flags and State Flags you see are made of Nylon. 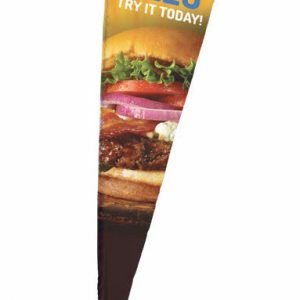 Poly Knit – A proprietary poly knit flag material that is most common in the rest of the world. A lightweight material that has excellent longevity and fly-ability. Which material is best? It depends. Each material has a similar lifespan but depending on the artwork, one material may have a better end result. 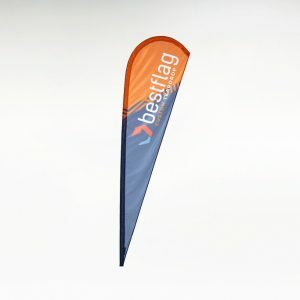 Unless you have a preference, then we recommend you let our staff’s knowledge and experience give you the best flag. Sewing – All flags are sewn with double needle lock stitching on the top and bottom, with four rows of lock stitching on the fly end. This provides the strongest finishing possible. 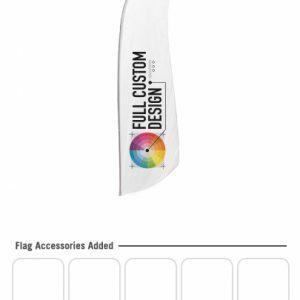 Single/Reverse & Double Sided – The goal of flag printing is to push the ink through the fabric so the colors backside of the flag match the front side. A single/reverse flag is a single layer flag, so with the ink penetrating the flag, the back side image will be reversed. 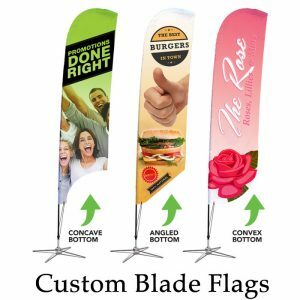 90% of the flags we produce are single/reverse. 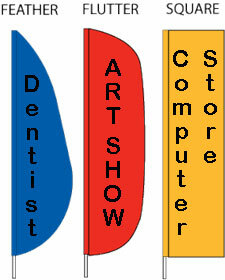 A double-sided flag is made when we print two flags then sew them together with a liner in between. 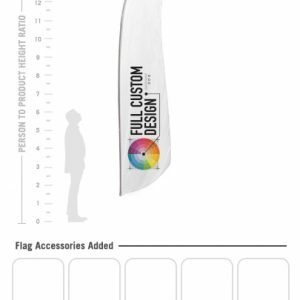 This will allow you to read the flag correctly from the front and back. 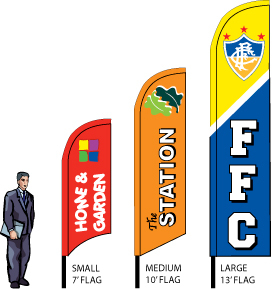 Custom flags larger than 8’x12’ will be automatically outfitted with rope and thimble finishing. But don’t fret! 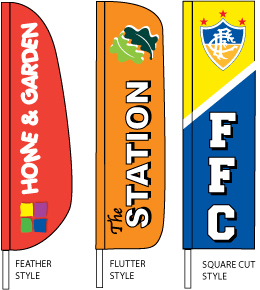 If you would prefer your flag to be finished with a pole sleeve, just let us know. We can make it happen.